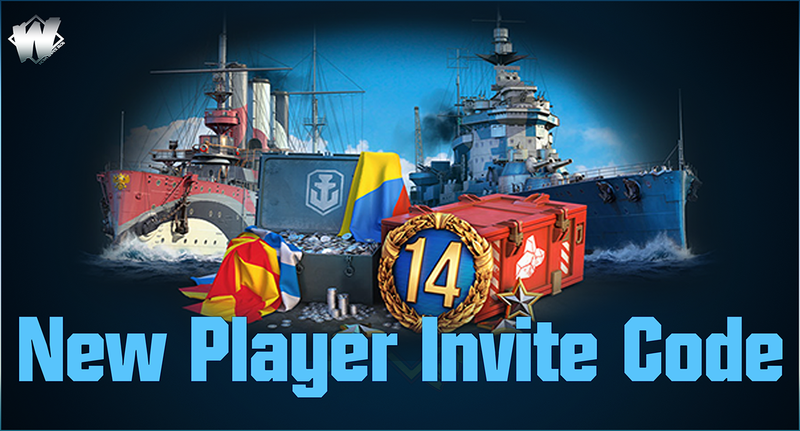 Why join and play in World of Warships? World of Warships is a Free-to-Play game, you will never need to spend any money and still reach the dizzy heights of super-unicum and own a vast amount of ships, and other goodies, all free. The thrill of winning battles is matched by the incredible variety of ships at your disposal. Over 300 warships are available to research, unlock and upgrade or purchase. 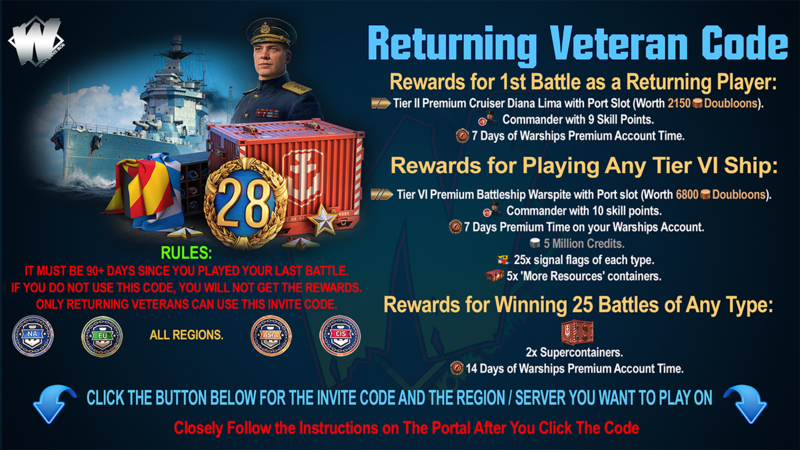 You begin with a small selection of lighter Tier 1 ships, and have to complete a few tasks to test your new skills, but do not worry, this is very easy, and withing 2 or 3 competitive games, you Will have faster and more powerful vessels, which you can purchase with experience points you earned in your previous battles. How unique are the ships? Fans of naval history will get a kick out of the impressive quality of famous ships from the navies of the World, The United Kingdom's famous ships such as Dreadnought, Warspite, Vanguard, Hood, King George, Nelson and many more, The United States and Japan have legends such as Yamato, North Carolina, Iowa. 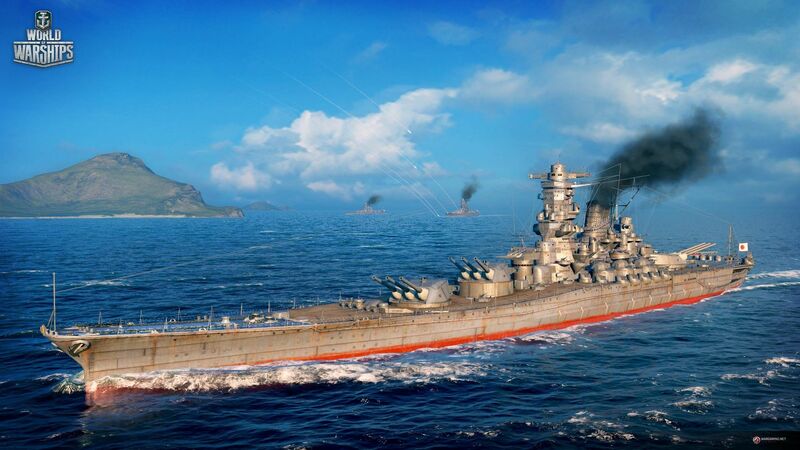 Musashi, German ships include, Bismarck, Tirpitz, Scharnhorst Prinz Eugen, way too many ships to mention in this article, when you join and enter your port, you will see how amazing the catalogue of supreme ships, all in this superb game. What type of ships are there? There are ten tiers to explore, most of which are categorised among four classes: Destroyers (DD), Cruisers (CA/CL), Battleships (BB), and Aircraft Carriers (CV). Destroyers: The navy's light forces. The masters of daring sorties, crafty ambushes, and hunting for aircraft carriers and battleships. They rely on their speed, manoeuvrability, and stealth. Battleships: A squadron's main fire power. Giants with the thickest armour and the mightiest guns. They can survive a huge amount of damage and obliterate an opponent with just a couple of well-aimed salvos..
Cruisers: Universal ships capable of varied tactics. The ultimate duellists, a destroyer's worst nightmare, and a shield against enemy aircraft. Irreplaceable during defence and attack..
Aircraft Carrier: The long arm of the navy. The masters of reconnaissance and devastating air strikes. Their main weapon is deck-based aircraft. They bring unique strategic game play and boast a multitude of functions.. Above, you will find a poster, read it, and click the appropriate button below the poster for the region that you wish to play in, for instance, if you are living in Canada, USA or South America, you would choose NA (North America) if you live in Europe, you would obviously choose EU, Russia and surrounding countries, choose CIS, If you live anywhere in Asia, then Asia is your choice. HOW DO I GET ALL THE REWARDS ON THE POSTER ABOVE? 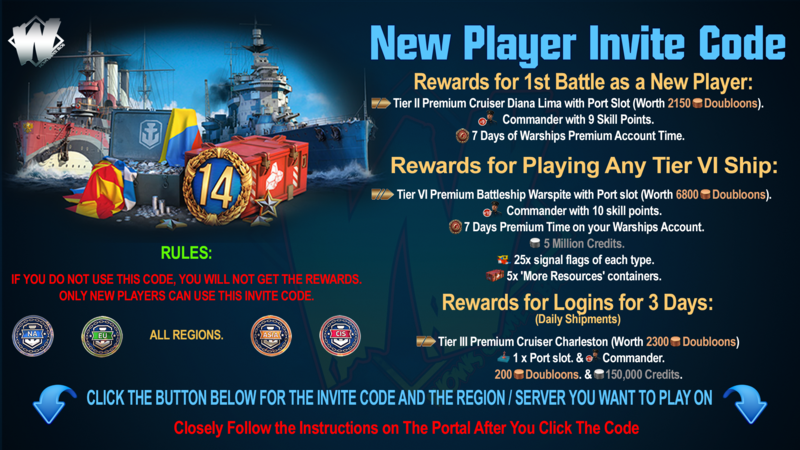 After you click the regional invite button above, you will be sent to the portal website of The World of Warships for that region, in the portal, you will be asked to give some details to create an account, do so, and then you will be given the option to download the game to your PC, you will need to do this in order to play :). 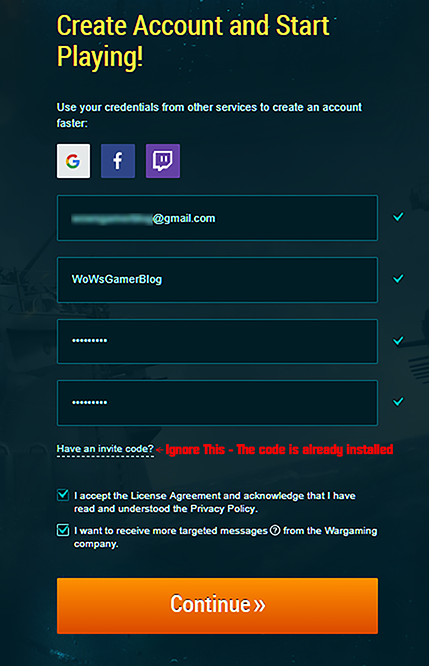 The Invite code contains the rewards assigned to you once you return and play your first battle, so please do not divert from the World of Warships portal page you were sent too after clicking the initial button above, or you will be disappointed and receive nothing. If you need assistance, click the comment button below, and chat to me in the Facebook-Group, I am not always there, but I will get an alert and reply ASAP. Good luck, Have Fun and Fair Seas Captain!